The Glass in Which You’re Served Alcohol May Contain Toxic Lead! According to researchers from the University of Plymouth in the United Kingdom, enameled drinking glasses, including beer, wine and spirit bottles, may contain potentially harmful levels of lead and cadmium. 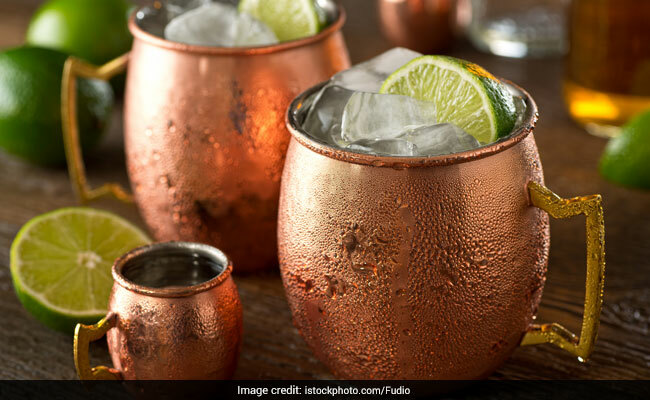 The latest trend in the world of mixology has to with serving your drinks in style. Many mixologists and bartenders are experimenting with different glassware to make your drink more exciting. But a latest study, gives us a reason to worry about. According to researchers from the University of Plymouth in the United Kingdom, enameled drinking glasses, including beer, wine and spirit bottles, may contain potentially harmful levels of lead and cadmium. Researchers found lead and cadmium on the surface of the rims with more than 1000 times the concentration that is allowed. For the study, the team carried out about 197 tests on 72 new and second-hand drinking glass products, including tumblers, beer and wine glasses, and jars. They found lead present in 139 cases and cadmium in 134, both on the surface of the glasses and, in some cases, on the rims, with concentrations of lead sometimes even more than 1,000 times higher than the limit level. The tests also showed that flakes of paint often chip on the glass due to regular use which indicates that these substances could be ingested over a prolonged period of time. According to Andrew Turner, from University of Plymouth, "The presence of hazardous elements in both the paint and glaze of decorated glassware has obvious implications for both human health and the environment. So, it was a real surprise to find such high levels of lead and cadmium, both on the outside of the glassware and around the rim." The study further revealed that more than 70 per cent of the products (52 out of 72) tested positive for lead, and the metal was found in all recorded colours, including the decorated gold leaf of some items, A similar number (51 out of 72) tested positive for cadmium, with the highest concentrations usually encountered in red enamel. The lead concentrations ranged from about 40 to 400,000 parts per million (ppm), while quantities of cadmium ranged from about 300 to 70,000 parts per million (ppm), the researchers noted. As per the United States Office of Environmental Health Hazard Assessment, the limit levels for the externally decorated lip area of drinking glass are 200 ppm and 800 ppm respectively. Researchers point out that these hazardous materials have the potential to come in contact with the food or beverage and impact human health. The study was published in the journal Science of the Total Environment and the researchers feel that these results were quite surprising as safer alternatives are available but no one seems to be using them.